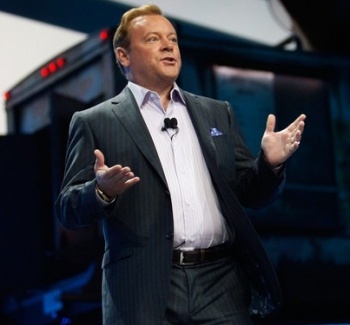 SCEA President and CEO Jack Tretton says free-to-play and mobile gaming have their place, but there will always be people willing to pay more for a better experience. The PlayStation 4 is now available, raising hallelujahs from many quarters but also dire predictions here and there that this is the last console generation the world will ever know. Between the rise of digital distribution, "micro-consoles" like the Ouya and mobile gaming, high-priced consoles like the PS4 are dinosaurs that can't survive in the dawning new era. But Tretton doesn't think so. "It's funny, I've heard about the 'last console' since 1986, and only because that's when I entered the business. I've managed to ride the 'last console' wave for the last, what is that ... 27 years or so?" he told All Things D. "There's a reason the console came about: Sitting in front of a big-screen TV on a couch with your friends. To get the immersive depth in gaming and to get the social experience of sitting around the living room, we're not going to huddle around a tablet. We're not going to huddle around a smartphone." Tretton described mobile gaming as "additive" and compared it to the PC, which he said is "alive and well" but just a part of the overall ecosystem. Sony wants to get its games out to as many of those platforms as possible, but there are limitations to what can be done with them; Tretton said Gran Turismo 6 on a tablet would be "a lousy experience," but it's perfectly possible to play Angry Birds on your PS3. "It's easier to migrate up. I've seen some great videos on YouTube, but I don't confuse them with Hollywood Oscar-winning hits." "It's like wine. Your first wine tastes good, and you start drinking more of it. You go from white to red, and you go from $10 bottles to $50 bottles. Some people just stop at $10, but some people become wine aficionados and, all of a sudden, if it's not Screaming Eagle, it's not good enough," he said. "People don't drink Screaming Eagle because it's $800 and they want to throw away $790. They perceive that that's a much better wine than the $10 bottle. Smartphone gaming might be good enough for somebody. For other people, they find themselves wanting more, and they're looking for better controls, more technology and a more immersive experience."